I’ve been fascinated with Japan ever since I began to learn Japanese in Year 4 back in 1990. It’s now 2012 and in September I finally made the effort to go to Japan to explore the country. I may be repeating a lot here that you may already know about a place in Tokyo called Akihabara, aka Electric Town. If you haven’t heard of it, it’s a prefecture dedicated to geeks all around the world. The place is full of stores, big bright screens, advertisements and video arcades. It is THE town that people think of when it comes to anything for the Otaku. 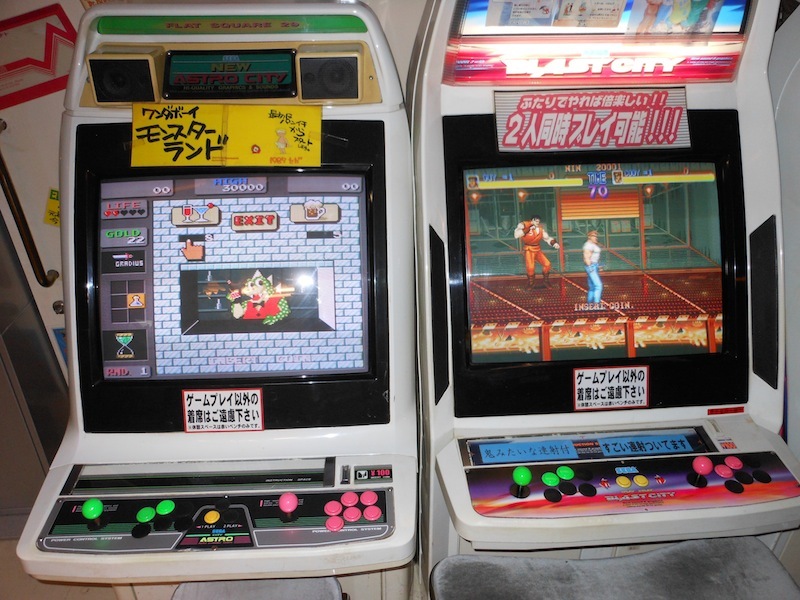 As I visited Osaka, Hiroshima and Kyoto as well as staying for the larger period of my trip in Tokyo (Shinjuku to be exact), I should also add that there are stores that I will mention that are also based in other cities as well as retro-gaming bars that I have come across in other towns. 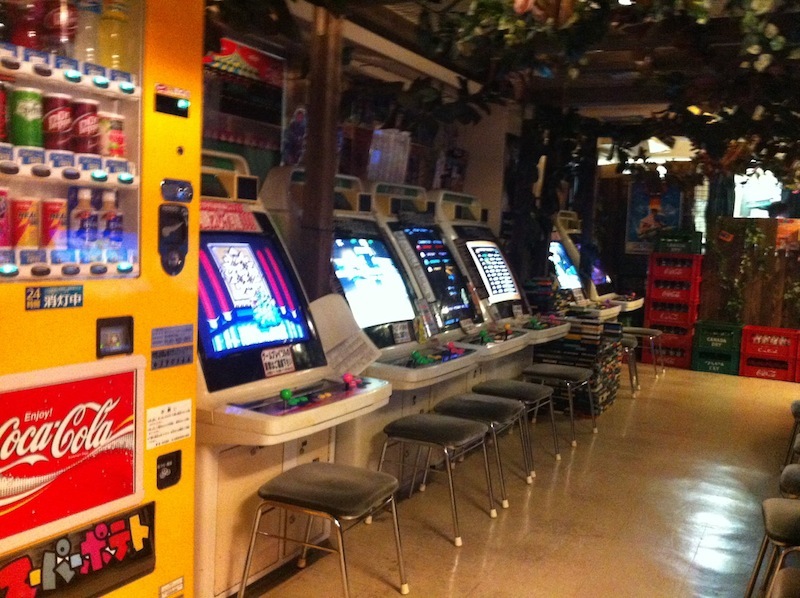 If that sounds intriguing then be sure to check out my other article on retro-gaming bars in Japan. This is hands-down the scariest game ever made! 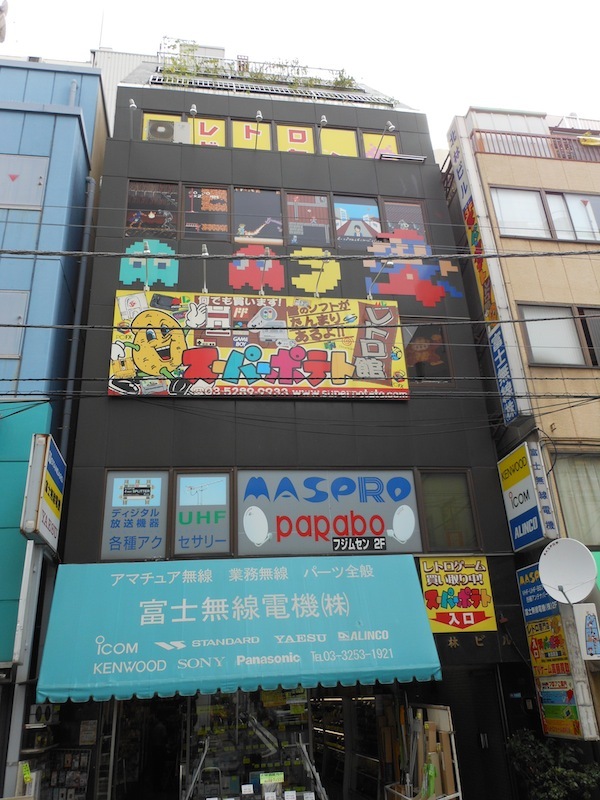 If you’re after video arcades in Japan they are very easy to find- simply look for big red buildings with signs that say TAITO GAME STATION with the iconic white Space Invader on them. There you will find all kinds of games on their multiple floors that are new and old, skill-testers and much more. You will be overwhelmed. I sure was! I was even frightened in a video game. 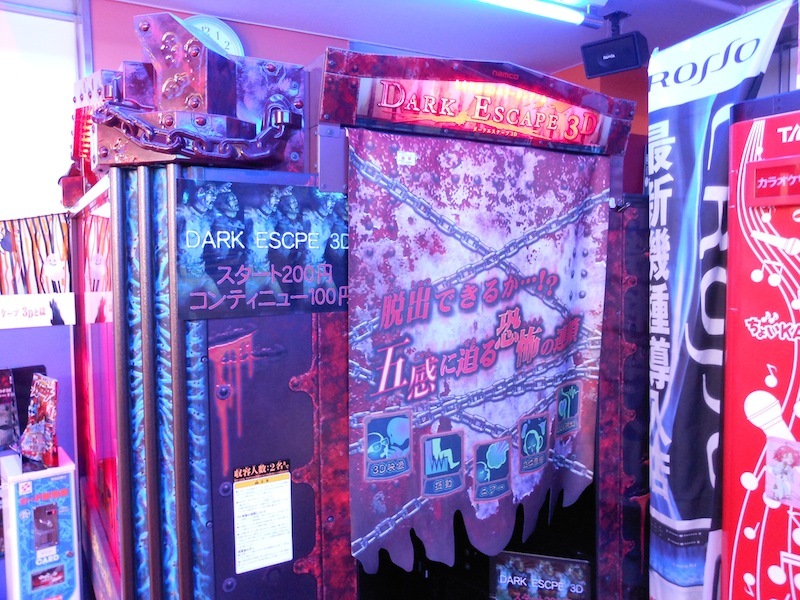 In particular the one photographed above called Dark Escape 3D, which is a rail-shooter with extra dimensions added to the game. By ‘extra dimensions’ I’m not just referring to the 3D stereoscopy either, as there’s also surround sound and surround fans blowing wind to imitate what’s happening in the game. Also your fear is monitored by the heart monitors embedded in the rifle joysticks. An amazing experience indeed! Alright, it’s time to delve into the shopping side of things! *Please note: I’ve included the Japanese titles for each of the stores I’m mentioning to make things easier for you to find on your preferred digital maps when planning your trip. If you are a regular reader of this site, then chances are you would have heard of this place. 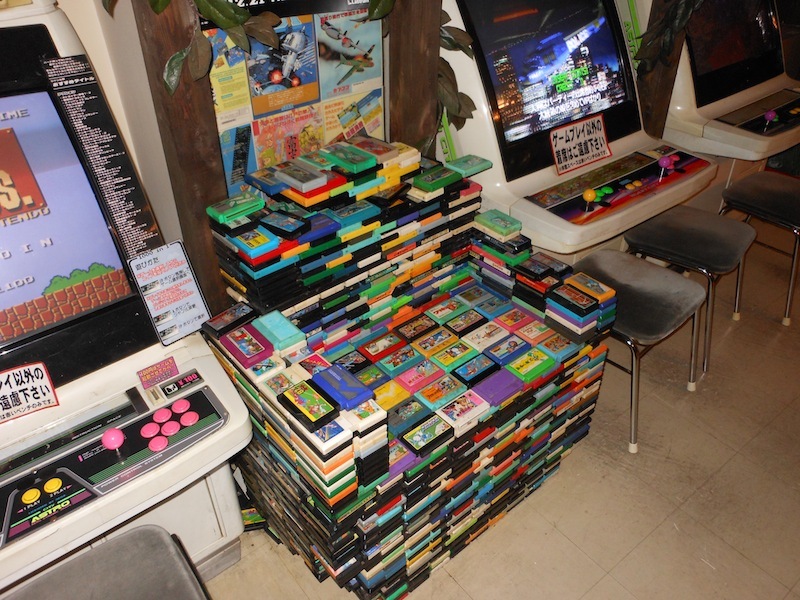 Generally it is the first place that a retrogamer goes to in order to build up his or her collection. This is the infamous Akihabara store. The building consists of three floors, but the first two floors are where you’ll find the games and consoles. It would be an enormous article if I were to mention every single thing they have in the store. All I can say is that there will be something for everyone. As you browse you will come across numerous games, original and after-market consoles, accessories to play games from one console onto another and so much more. 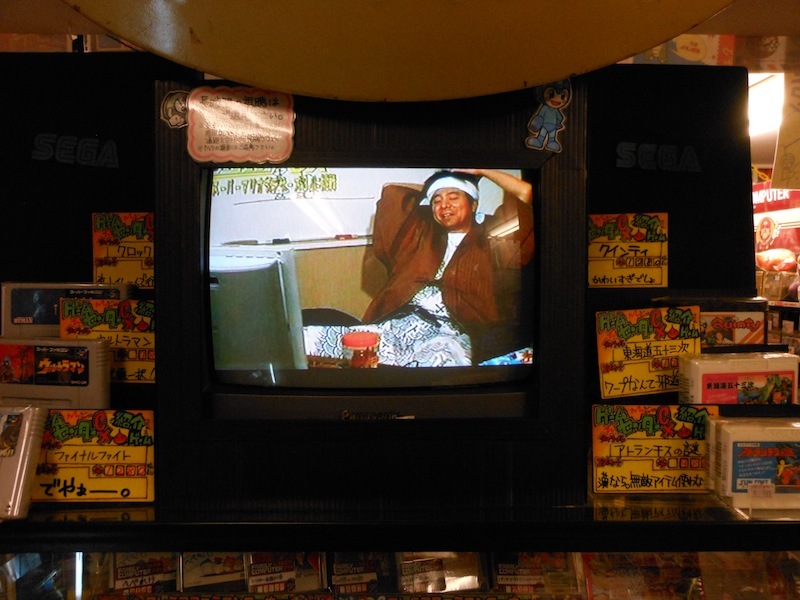 GameCenter CX is a very popular show shown in Super Potato stores as well as Retro Game Camp (another shop mentioned later in this article). There are even rarities that might possibly be out of your budget too. 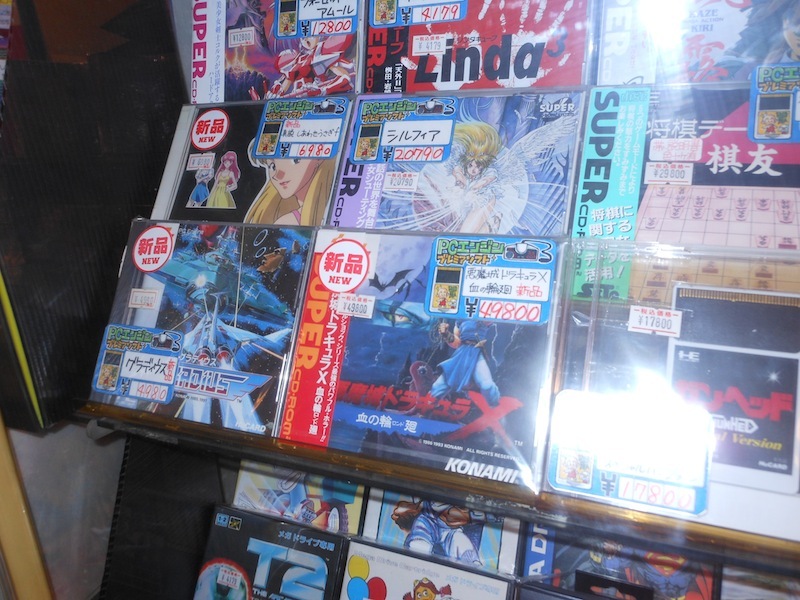 It was quite odd to find American games there, but the most expensive game I saw was Spiderman: Maximum Carnage for the (Japanese) Mega Drive which was going for almost ¥90000. I had to double check and yes, there are 4 zeros. The top floor (5F) is the video arcade. 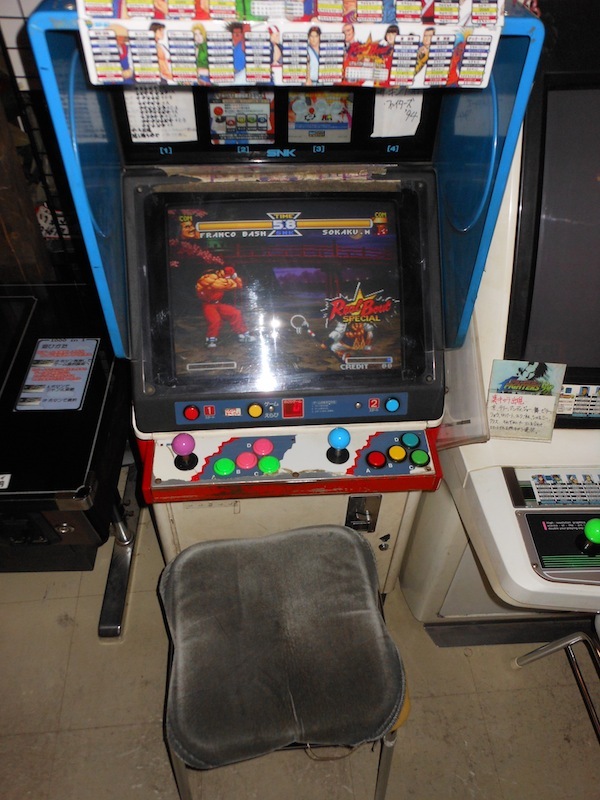 As you can see in the photos it’s a really chilled-looking place that is perfect for taking a break from the hustle and bustle of the Tokyo streets, grabbing an Iced Oolong Tea drink and playing any of those arcade games for ¥100. There are plenty of notable classics available to play. So that’s the Akihabara store. I also managed to visit one of the Super Potato stores in Osaka’s DenDen Town which is their equivalent of Akihabara. There was a lot there that the Akihabara store didn’t have, so I would highly recommend that you visit DenDen Town if you’re in Osaka. 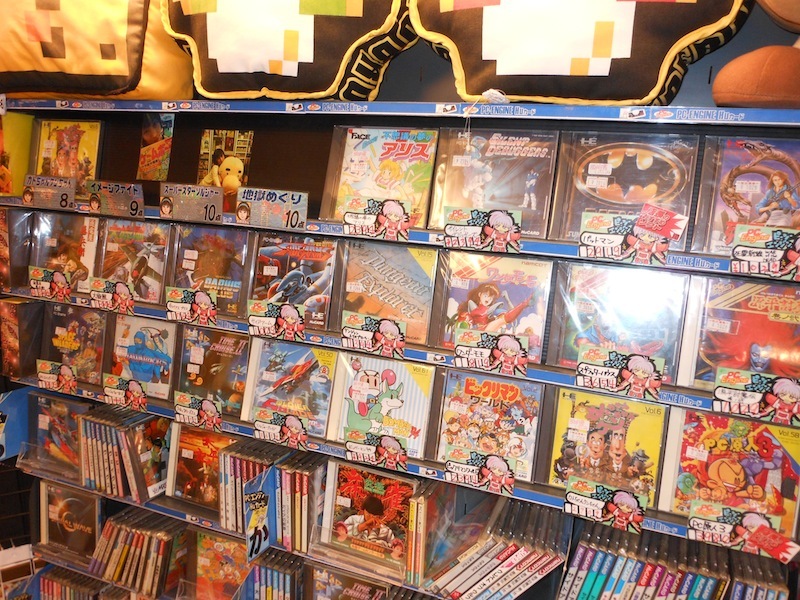 Super Potato also sells a lot of merchandising, play guides, general books and magazines on gaming, as well as music soundtracks. You will not walk out of there empty-handed. I repeat, you WILL NOT walk out of there empty-handed! This franchise is a dime-a-dozen right across Tokyo. 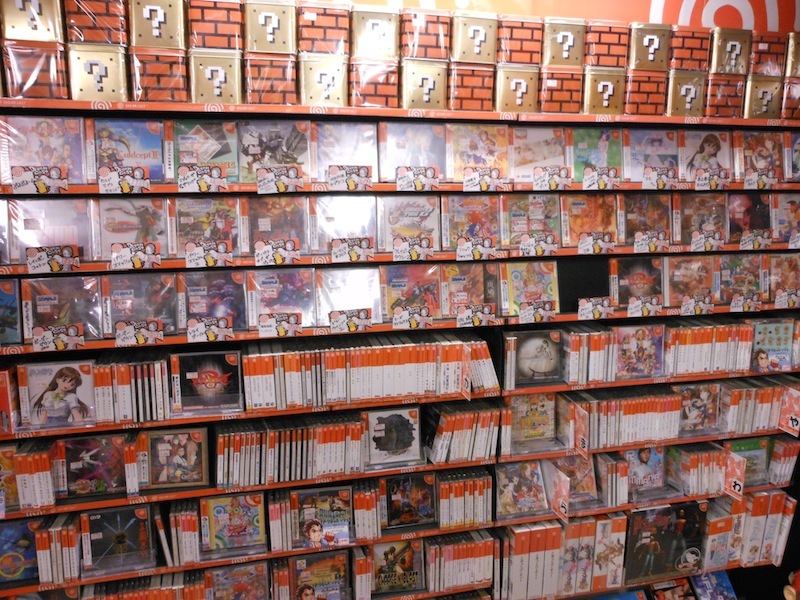 These stores primarily specialise in second-hand games, consoles, BluRays, DVDs and CDs. 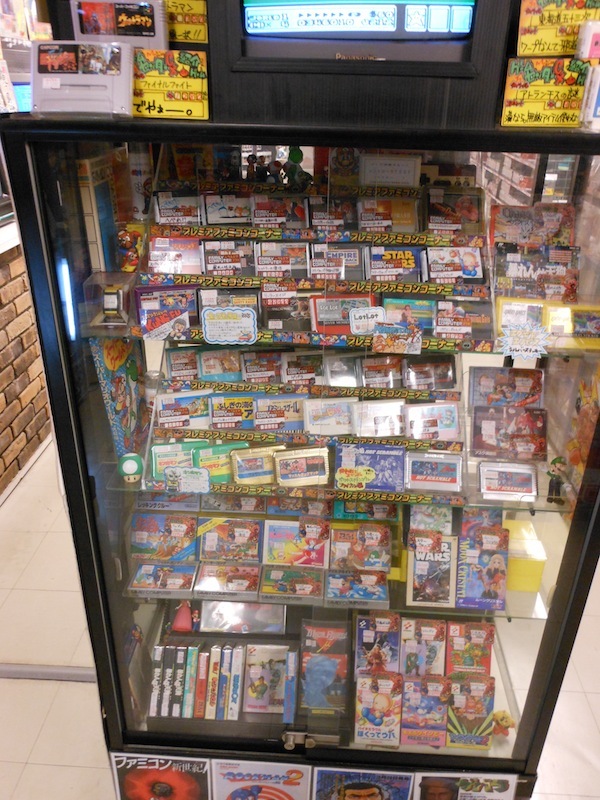 There may well be games or consoles there that you may also find at other stores, but which are cheaper at Trader! 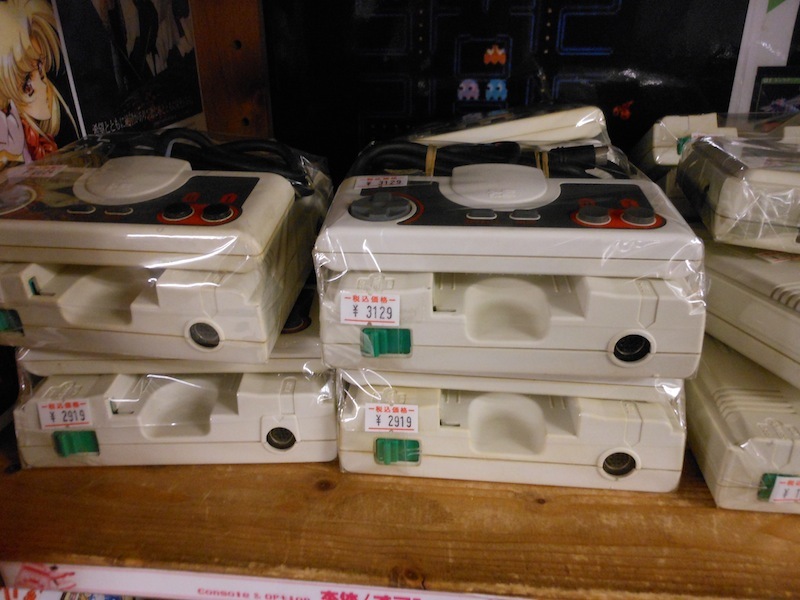 For example, I found a boxed PC Engine Core Duo-R that was cheaper than an unboxed one in another store. I wasn’t allowed to take photos of the store content so apologies for not getting any for Trader. All I can suggest is that you do visit the stores and luckily there are plenty in Tokyo! I should also mention that although they sell loads of video games and consoles, it’s not just a game store. 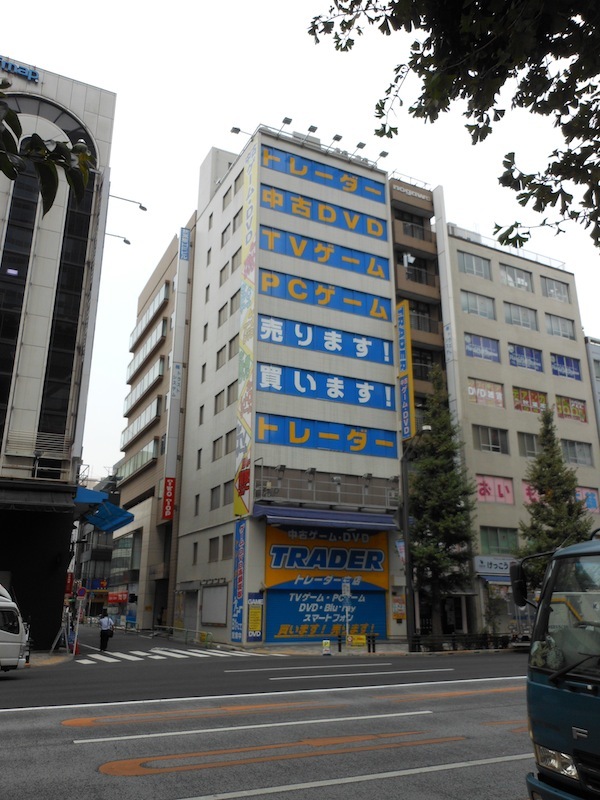 Trader stores can be found on Akihabara’s main strip called Chuo Dori and in surrounding side streets too. I’d like to thank Craig for the tip off on both Trader and Book Off. These would be the equivalent of Cash Converters in the sense that Book Off and Hard Off deal with hardware, software, books, music- basically all sorts of items you could think of. 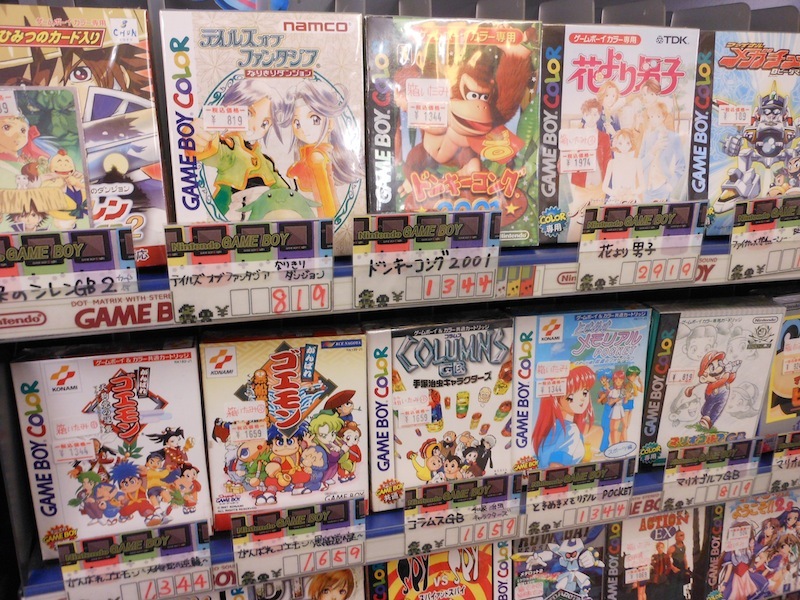 The main places to check for games and related items however are Book, Hard and Hobby Off where there are some great deals to be found and the shops are conveniently located all around Japan. Also if you tinker with hardware and can repair electronic equipment then this is the place for you. You can find old consoles for almost nothing and could end up repairing them for the same amount as well. I managed to find one in Hiroshima and Kyoto as well as Tokyo. 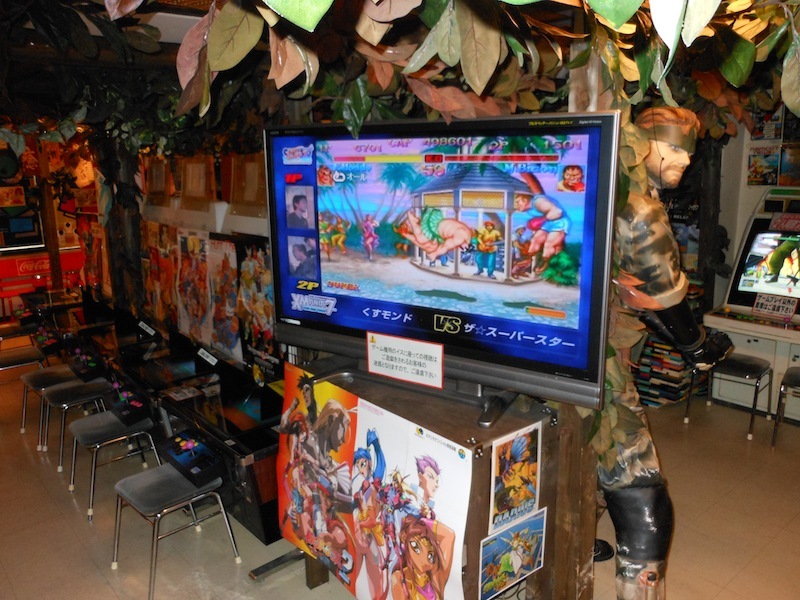 Another store (briefly mentioned earlier in this article) is one in Akihabara simply called Retro Game Camp レトロげーむキャンプ (http://retrogamecamp.com). There’s a great selection of games and consoles there as well. The store I checked out is also on Chuo Dori. 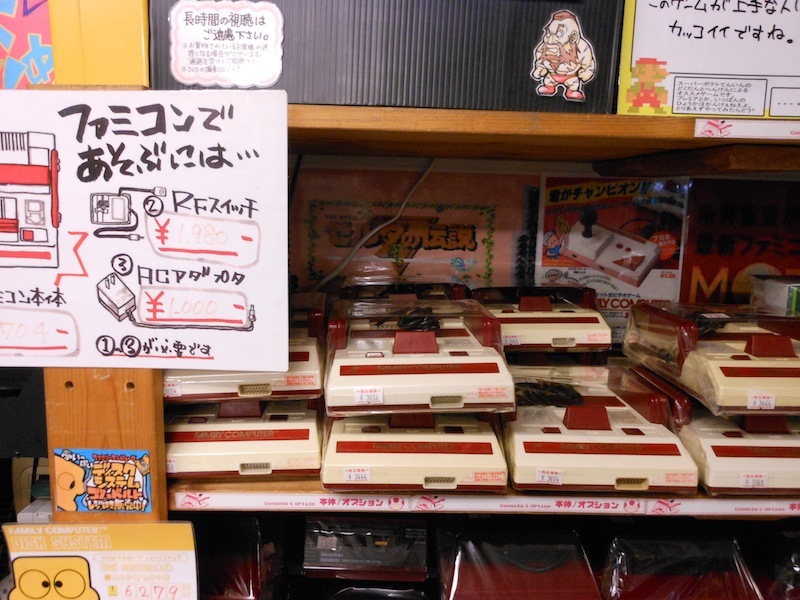 My advice for getting the most out of shopping in Japan for old-school games and consoles is listed below. Pack lightly and ensure you have a big suitcase. If you can’t fit items in, be sure to not leave your shopping to the last day or last minute. Give yourself time to go to the Tokyo Post Office to arrange to get items sent back to your hometown. Browse around before purchasing. I could have been ripped off by purchasing both Umihara Kawase on Super Famicom and Rampaging Tengu on Famicom if I didn’t look elsewhere for them. 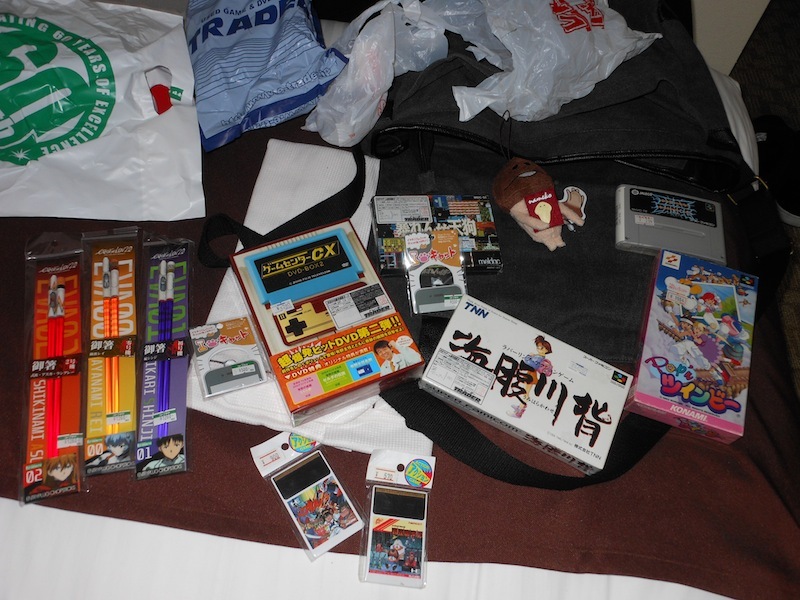 I managed to get Umihara Kawase for ¥4250 and Rampaging Tengu for ¥5100. Be prepared to be overwhelmed. This is not a trip to your local game store or secondhand store. There WILL be large crowds and narrow aisles. Also there WILL be something there you won’t have on the list that you’ll most likely end up purchasing. Another important point is to brush up on your Japanese or at least make sure you have photos or titles of things you are after in Romaji or Japanese. The store folk are very happy to check if they have items in stock. If you have a VISA card then you can withdraw money from every 7/11 store and there’s no trouble finding one anywhere in metropolitan areas of Japan. So that’s my report on shopping in Japan. Please join me for Part 2 wherein I delve more into the places to go to unwind with other like-minded folks- the retro-gaming bars! If you have any questions about my trip to Japan or any advice you’d like to give, please leave a note on Twitter, Facebook and comments here as well.